This page lists, links to, and briefly describes files developed for the purposes of teaching social studies using geospatial tools (primarily Google Earth and My World GIS). Most, but not all, of these files have been developed at Lehigh University by students in the Teaching and Learning with Geospatial Tools (TLT 368) course taught by Dr. Hammond. Jamie Gustin's Google Earth users guide for social studies teachers. Rick Thomas' In Time and Place website and GIS for History eBook. The Virginia Geographic Alliance's GIS Lessons for K-12. Bill Ferster's VisualEyes project at the University of Virginia. The Teaching American History Project at Portland State – they have an extensive dataset on Northwestern topics, but also strong materials for broadly-applicable topics. ThinkQuest's Teaching History with GIS site. Appears to have been inactive for a long time, but has invaluable .shp files available for download. Herb Thomson's A Geographic View of World History (available through either NCGE or Carte Diem Press): 32 lesson plans for World History, World Geography, and/or AP courses. Our files are currently organized chronologically by topic. Google Earth file developed by Tom Hammond, 2012: APworld_cradles_of_civ_ver03.kmz. Description: Provides placemarks (with perspective) for settlements from six 'origin' civilizations specified in the AP World History curriculum. Google Earth file developed by Tom Hammond, 2012: Silk_Roads_ver03.kmz. Description: Placemarks of stops along the Silk Roads; no contextual detail. Google Earth file developed by Yuanyuan Zhang, 2010; revised by Tom Hammond, 2012: Great Wall(s) of China ver04.kmz. Description: Depicts the multiple time periods and places of the development of the wall; it is not a single, monolithic concept but took different forms in different time periods. Perspective applied to selected points along the wall to illustrate topography; includes Badaling tourist stop. Google Earth file first composed by Tom Hammond, 2008: European explorers ver02.kmz. Description: Presents overview of European 'voyages of discovery', framing them in a search for water routes to Asia. Uses Jamestown and the instructions to the settlers to invite a driving question. (For example: Why are these instructions so specific? Why specify taking the northwest branch of a river? And what is meant by 'the other sea'?) It then moves back to discuss European contact with east Asia, using Marco Polo (but the Crusades would also be a logical point of reference). Traces efforts by Genoa, Portugal, and then Spain to locate water routes to Asia as a way of addressing the driving question (i.e., the Portuguese had found a water route south and east; the Spanish had found a route west and south; the English and others hoped to find a route west and north). This file is pretty approximate work and contains much room for improvement! Does not include other voyages commonly included in the K-12 curriculum: Spanish intra-continental expeditions (e.g. Cortez, Pizarro, Balboa, de Leon, et al. ), French explorers (Champlain, Marquette, et al. ), other English expeditions (Cabot, Hudson, et al.). Other authors are invited to add these, or teachers could have their students add these as extensions to the existing file. SmartNotebook file developed by Tom Hammond, 2012: spanish_armada_notebook_ver02.notebook. Description: Map of western Europe, plus images and diagrams to support explaining the relationships among the political leaders (i.e., marriages of Henry VIII, wedding portrait of Mary Tudor and Phillip II, etc.). Developed to for an 8th grade American History class using Prentice Hall's America, History of Our Nation. Accompanied by guided note sheet, created in ppt. 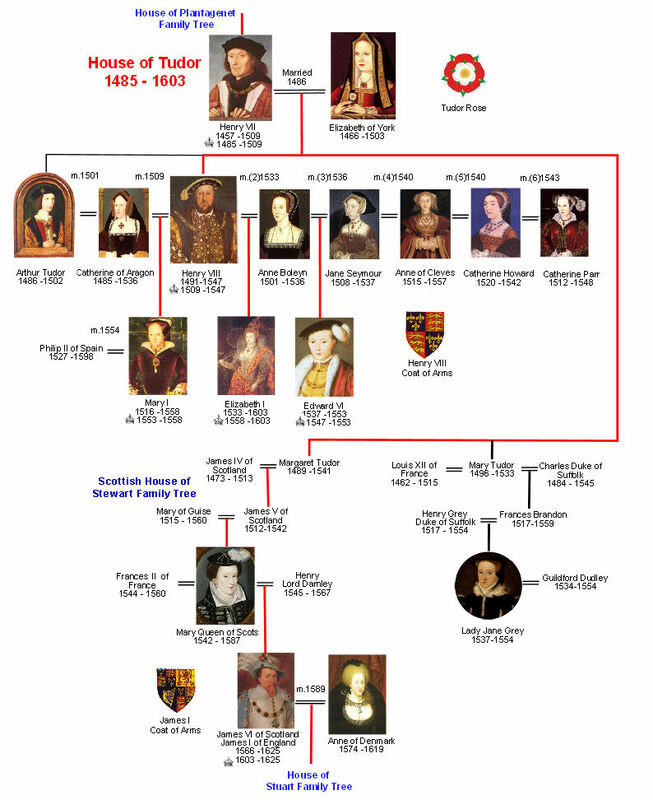 Sources consulted: Primary map is adapted from EmersonKent.com; Tudor family tree adapted from britroyals.com. Other images from Wikipedia and Britannica. Google Earth file developed by Richard Rosenblum & Tom Hammond, 2012: Religious map of Europe - 1600 ver02. Description: Presents major religious denominations of Europe, circa 1600: Roman Catholic, Orthodox, etc. Source consulted: European Religions, 1600 by Holt, Rinehart, Winston. Google Earth created by Tom Hammond, 2012: British_colonies_in_North_America_ver02.kmz. Note that this overlay links to a file created by the Virginia Center for Digital History, Virtual Jamestown Project: indian_groups.kmz, along with various sources for overlays of historical maps. SmartNotebook file to accompany Google Earth overlay (contains static versions of historical maps, plus other information): early_colonies_notebook_ver01.notebook. Accompanying documents and data, including the 1595 map by John White, 1608 map by John Smith, and locations for the archaeological Jamestown and a reconstructed Fort Raleigh at Roanoke, plus several New England colonies (Plymouth, but also predecessors at Cuttyhunk and Popham). NOTE: Not all of the data layers are publicly viewable. I'm using other people's work in parts of the map, and some of their layers are only visible to Lehigh University users. I haven't yet figured out how to get around this. Description: Uses an adapted form of the 1790 census to show the British settlers' desire to cross the Appalachian Mountains. Political markups include disputed territories, battle sites, etc. Still in development: Merging data from the 1790 census and the research on border counties in 1750. Description: Uses a vendor-provided basemap to present discussion of Triangle Trade: teacher (or students) can drag on and manipulate images of slaves (slave ship Brooks), cotton, sugar, molasses, and rum. Also includes portraits of John and Moses Brown and the Brown University logo. Second page of file has info on Brown family for discussion of role of slavery (or profits from slave trade) in building this institution. Description: Provides viewers with a sense of the space occupied by delegates at the Constitutional Convention (primarily the historic district). Includes an image overlay of a period map of Philadelphia plus placemarkers for Independence Hall, local boarding houses and gathering places, etc. Description: Uses the 1790 census to explore the political dynamics of the 3/5ths Compromise--how to balance the voting power of southern and northern states? Still in development: Adding layers showing the data used by the convention members, removing states to conform to the 1787 map (e.g., Vermont). Description: Provides viewers with the sequence of states being added to the United States, starting with Pennsylvania, New Jersey, and Delaware (1787) and concluding with Hawaii (1958). Note that this file uses the timeline feature, allowing the user to scroll backwards and forwards through the process of adding states. In fact, by looking at the kml in a text editor, I was able to figure out some of the basics of working with the timeline. My World GIS file developed by Doug Scott, 2010: Af-Am_pop_1790-1870_ver02.m3vz; version for Arc by Tom Hammond, 2012 – see filelist. Description: Allows users to inspect population data to view the gradual extinction of slavery in the north and the intensification of slavery in the south--in 1790, the southern states' populations had at most 40% (approx.) enslaved persons; by 1860, this figure had risen to almost 60%. See teaching notes for suggestions. Still in development: Adjusting the organization of population data and map displays. Description: Shows the western Pennsylvania counties in rebellion and uses the 1790 census data to explain the distance from the primary markets and the economic significance of distilling grain into alcohol. Features placemarks for events of the rebellion, including Washington's march towards western Pennsylvania. Sources: ArcGIS.com version draws upon maps and census data assembled by BucknellGIS. Description: Provides a path from the expedition's starting point to its terminus on the Pacific Coast. Includes images from places and encounters along the way, and makes use of the Rumsey historical map collection to include the engraved map produced from the expedition's sketches. Description: An absolute cabinet of wonders, containing multiple datasets on the topic. Includes colonial era maps, the complete path of Lewis & Clark's travels, census data on population in 1800 and 1830, paths and polygons showing Indian removal and reservation policies, and much more. Description: Draws upon textbook information to "compare nine major products and industries of the U.S. between 1820 and 1860--Cattle, Cotton, Grain, Iron/Steel, Lumber, Mining, Rice/Sugar cane, Textiles, and Tobacco." Description: Shows the segments and locks along the Morris Canal as it crossed northern New Jersey between the Delaware River (opposite the Lehigh Canal) and the Port of New Jersey (opposite New York City). VisEyes dataset by Andrew Torget: Texas Slavery Project. Description: Two duplicate layers set to different fields: color-coded by campaign and color-coded by year. Color-coding by year allows the viewer to see and infer the broad outlines of the war strategy in this theater. Source: Worked from the wonderful Google Earth file Civil_War_by_Campaign.kmz created by C Woodcock. Description: Walks through observation and analysis of the Allentown city parks system – why are the parks located where they are? What causes this pattern? (Note: The same pattern exists in Philadelphia (ArcGIS Online map)...probably the same in many, many cities. Description: Compiles data from a 1993 report by the US Dept of Labor regarding various state-level regulations on child labor. For a description of the dataset and teaching suggestions, see the documentation within the file. To work with the raw data, start with this spreadsheet. Description: Timeline of placemarks, starting with Dachau. For the selected camps, provides dates of opening / closing, types of prisoners held there, estimates of population and number killed, companies that used labor from the camp, etc. 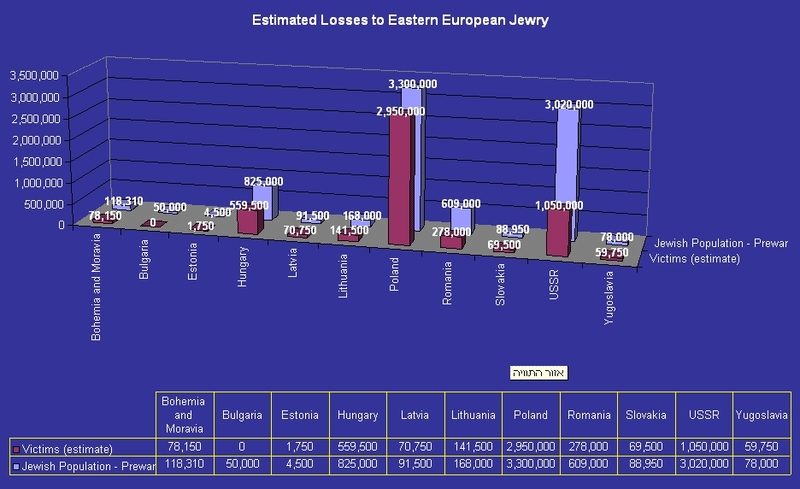 Description: Uses data from Yad Vashem to show pre-war Jewish populations and number of victims of the Holocaust for selected countries. 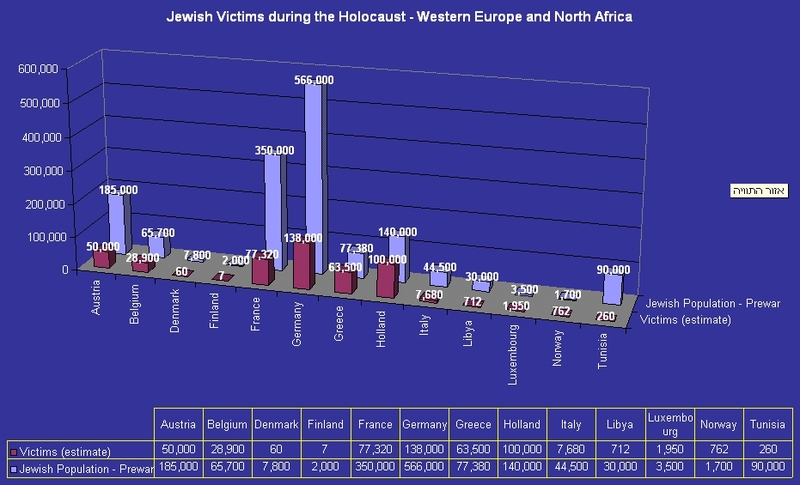 Allows students to grasp the full extent of the Holocaust (e.g., it includes countries such as Tunisia and Libya, which were then under Italian control), and to note discrepancies in patterns (e.g., percentage of Jews killed in Germany vs. Poland; the strong contrasts within the southeastern Europe such as between Bulgaria and Greece). Still in development: Adapting the map files to the historical reality--for example, the former Yugoslav and former Soviet states need to be re-configured to square up with the politics of 1933 and 1945. Description: Still very much a work in progress. Overviews events in the European and Pacific theaters. GIS fileset on World War Two casualties developed by Eric Budge, summer 2011–see fileset page. Description: World-wide (country-by-country) and American (state-by-state) figures for casualties (civilian as well as military) during World War Two. Great for getting across the points that (a) this is truly a world-wide conflict, and (b) the scale of human destruction is staggering, especially once you consider some of the non-US contexts. Description: MyWorld GIS file with post WWII country borders, NATO and Warsaw Pact countries and entry dates, and associated important cities. Description: Displays cities in selected northeastern states (PA, NY, OH, NJ, MD, DE) to illustrate some of the reasoning behind the development of the interstate highway system. Cities are rank-ordered by population, demonstrating how the interstates link population centers together. Students can be prompted to notice the density of highways around state capitals, illustrating their political power relative to their size. The instructor can zoom in to show beltways and secondary highway systems. Includes selection from Matt Fox's world-borders.kml. Levittowns: Google Earth file developed by Greg Freeman, 2013: Levittowns ver02.kmz. Description: Locates and dates three Levittowns outside of the NYC and Philadelphia metro areas. Development note: These files were developed for use with students in Pennsylvania; however, it can be adapted to other geographic contexts. Description: Displays the warheads (and other strategic sites) in Cuba as well as the NATO warheads stationed in Turkey, allowing students to grasp the quid pro quo worked out between Dobrynin and RFK. Google Earth file developed by Tom Hammond, spring 2012: Continents_and_components_draft01.kmz. Rationale: Students' first exposure to world geography is commonly presented via continents/oceans and political geography. Both frames are self-limiting: The continents' divisions are not only geographic but also political (e.g., Europe vs. Asia) and obscure important comparisons (e.g., Egypt and Jordan are geographically similar but in different continents; Asia contains many different components with high levels of geographic, cultural, and political diversity). An emphasis on political geography creates a sense of determinism that is quite separate from the economic and cultural realities (e.g., post-colonial Africa, the Himalayan regions of Asia). This overlay cuts each continent into components that reflect their geographic / cultural characteristics. For example, Africa is divided into North (Mediterranean-adjacent), Saharan, West, East, Central, and Southern Africa. This is a VERY incomplete and tentative project; feel free to adapt / critique / suggest. Google Earth file created by Matt Fox (building upon others' work): world-borders.kml. Description: Overlay that colors each nation (following the national borders, with some errors), making Google Earth's satellite data more closely resemble a traditional globe that displays political geography. Note that it has some mistakes / lack of current data (e.g., Ireland is unified; Sudan isn't split).